We celebrate Solemn High Mass every Sunday at 11:15 AM. The service runs approximately 75 minutes. Anglo-Catholic liturgy traces its roots to medieval practices in England, and to their revival as part of the Oxford movement in the 1830’s. Solemn High Mass at Saviour is a deeply spiritual experience that touches all of the senses – from the visual richness of elaborate vestments and ritual, to the beauty of traditional music, and even the aroma of incense rising to heaven with the prayers of the congregation. 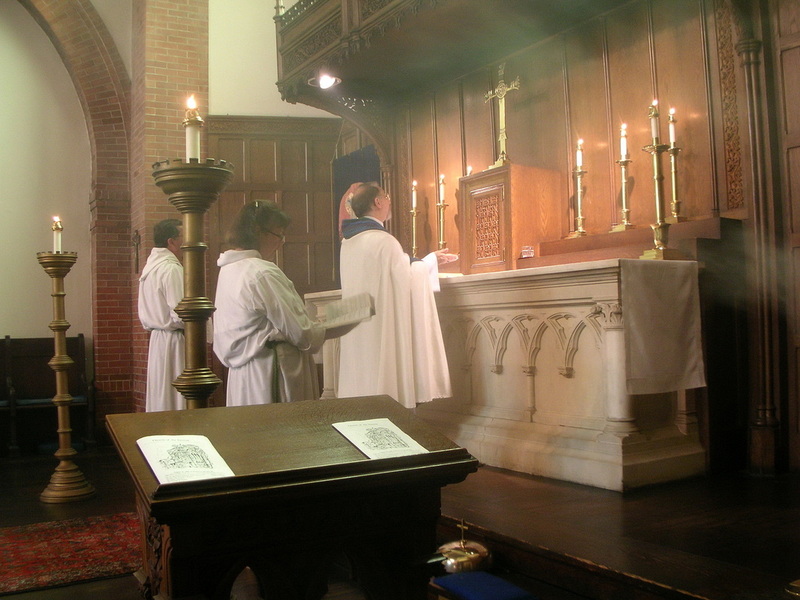 The Liturgy is Rite I of the 1979 Book of Common Prayer. The Music is traditional hymns from the 1982 Hymnal, sung by the congregation, led by a small professional choir. Prayers and anointing for healing are offered in the St. James Chapel following Mass. From September through June, Mass is followed by a social hour in the Parish Hall, with food and refreshments. All are welcome.